Contact Rapid Foundation Repair for Foundation Repair in South Dakota. South Dakota boasts some pretty extreme weather situations which can lead to problems within the foundation of your home or business. These extremes cause soil swelling and shrinking to the point of damage to home foundations. When the soil exerts too much pressure on the foundation, it may cause the foundation to shift or crack. Also, if voids form in the soil beneath the foundation due to erosion or soil shrinkage, the foundation will not be properly supported and may sink or settle. 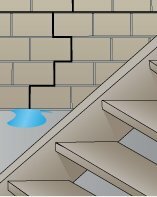 If problems do arise with the foundation, it could result in issues throughout the home, including water in the basement. It is important to have foundation problems repaired as soon as possible so they do not get worse and lead to more complicated or expensive repairs. If you are in need of foundation crack repair, Rapid Foundation Repair will be able to provide the services you need. Signs that will alert you to a structural foundation problem might be a sticking door or window, or floors that are beginning to slant. Call us when you see wall cracks, floor cracks, or any of the above-mentioned home problems. For Foundation Repair in South Dakota call our company to speak with foundation experts. We are experienced in the installation of helical piers and steel push piers to raise and stabilize sinking or settling foundations. 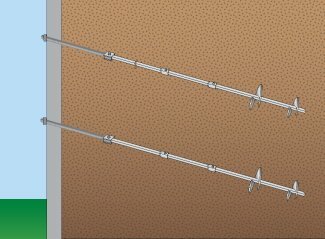 We also provide wall anchor or helical tieback services to correct any leaning or bowing foundation walls in your home. Rapid Repair also provides wall repair, crack injection methods, and can find workable solutions for water management. We’re proud to offer Rhino Carbon Fiber wall supports to repair your wall cracks or bowed walls. We will also ensure that your home receives the best treatment by using quality products from ECP (Earth Contact Products). 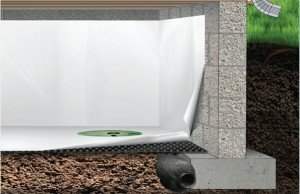 If your home is in need of basement waterproofing contact Rapid Foundation Repair to learn about the techniques we offer to keep your basement dry and free from moisture. . We are your basement crack and basement waterproofing experts. To prevent water from seeping into your basement, you must first have a good surface drainage system and basement waterproofing. The exterior drainage system protects the porous concrete of the foundation and channels water away from the home with sheet drain and drain tiles. It is good to invest in a quality interior drainage system. This basement waterproofing system will work with the other drainage systems to carry water that does make its way into the basement to the sump pit. From there, the sump pump will pump the water out of the basement and away from the home. Possibly your home has a crawl space that needs to be repaired. Our experts will provide you with an estimate with options and quality methods of updates and repairs that would update your crawl space. A damp crawl space can also create numerous problems for a homeowner. Keep moisture out by having the professionals at Rapid Foundation Repair install a vapor barrier. Vapor barriers will seal out water vapor, keeping your crawl space dry and mold free. Here at Rapid Foundation Repair, we specialize in crawl space encapsulation. Rapid Foundation Repair will meet with you to decide which of our services will return your home to the strong and safe structure it once was. Our team can provide repair services as well as other proactive methods that will protect your investment from future damages. 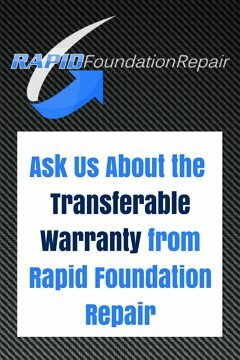 Call Rapid Foundation Repair in South Dakota today. We have a whole list of services we provide that we would be happy to provide to you!